Photovoltaic Visionaries - The future of solar is in the science. Stion aims to redefine thin-film solar through a unique combination of materials and process innovations. Our team is focused on driving new cost and performance frontiers through and unmatched commitment to technical excellence. Q.ANTUM combines the best features of all known cell technologies to achieve high performance levels at low cost of electricity (LCOE). This advanced technology ensures Q CELLS solar modules achieve maximum luminous efficiency under real, day to day conditions, even under cloudy skies. Suniva is the leading American manufacturer of high-efficiency, cost-competitive PV solar cells and modules. The company is known worldwide for its high-quality solar products, patented low-cost manufacturing technology, and long-term reliable performance. Our ground-breaking manufacturing process ensures the combination of high power and exceptional value in every product we make, while our research milestones continue to set the standard in the global PV marketplace. SolarEdge provides an end-to-end distributed solar power harvesting and PV monitoring solution, maximizing the power generation of residential, commercial and large-scale PV system installations by up to 25%, for a faster return on investment. 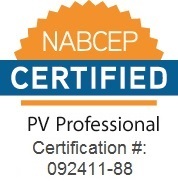 Module manufacturers, installers and home owners enjoy the benefits of SolarEdge solutions which allow maximum energy by design by optimal roof utilization through constraint free design, module-level MPPT, and enhanced maintenance and accurate troubleshooting through module-level monitoring. Another benefit is the guaranteed automatic DC shutdown for installers, maintenance personnel and firefighters through the unique SafeDC mechanism. Fronius converts energy and is recognized as a technology leader in our USA divisions. In the field of welding technology, Fronius is a competent partner to the international automotive industry and other metalworking industries where high quality is a major concern. As a leading global specialist for photovoltaic system technology, SMA is setting the standards today for the decentralized and renewable energy supply of tomorrow. More than 5,000 SMA employees in 21 countries have devoted themselves to this task. Our innovative solutions for all photovoltaic applications and our unsurpassed service offer our customers worldwide greater independence in meeting their energy needs. For more than 15 years, we've worked closely with hundreds of installers and integrators on thousands of projects. Whether your needs involve two panels or 2 megawatts, our experienced staff will help minimize the total cost of installation with ease, efficiency and, above all, reliability. Today, IronRidge offers sophisticated online tools that make it easy for customers to efficiently configure and procure roof and ground mounted systems for their specific projects. Click here and see how you can design even your largest project in minutes.